Hit the slopes or the shores with luxurious yearly accommodations at Marriott's Grand Residence Club Lake Tahoe. Find affordable timeshare resales and rentals with SellMyTimeshareNow.com today. 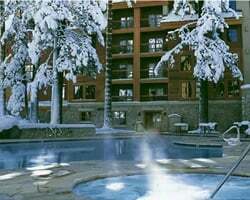 Located in Heavenly Village, the Marriott Grand Residence Lake Tahoe's location describes its accommodations perfectly. Everything about this offering from Marriott Vacation Club spells luxury—from the ski-in, ski-out capabilities to the lavish multi-bedroom villas, this resort provides its guests with a one-of-a-kind getaway from top to bottom. What sets the Grand Residence apart from the other Lake Tahoe resorts is its impeccable ski-lodge design and immaculate grounds. The resort's wide list of amenities includes an on-site sauna and heated outdoor pool, as well as a full-service spa to truly help you relax. 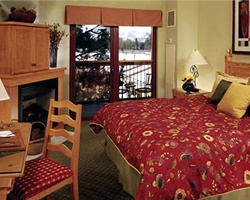 You'll also find that they spared no expense inside the units, with most offering premium bedding and gas fireplaces to create the perfect Sierra Nevada ambience. Are you ready to find stunning accommodations in Lake Tahoe? You can lock down affordable timeshare resales and rentals at Marriott's Grand Residence Club Lake Tahoe with SellMyTimeshareNow.com. Fill out the form on this page, or call 1-877-815-4227 to learn more. Purchasing a Marriott Grand Residence Club Lake Tahoe timeshare on the resale market will give you high-quality accommodations and full access to the resort for thousands less. Since the resale postings on the secondary market are for-sale-by-owner, they are priced more appropriately than what the resort offers directly. Because of this, you can lock down accommodations you love at the resort, along with all the perks that come along with being a Marriott timeshare owner. Timeshares at the resort are available in deeded and floating Marriott timeshare weeks, giving you some flexibility when matching an ownership interval with your vacation preferences. Additionally, timeshare units are available for use during summer, winter, and swing seasons every year. 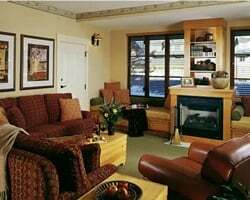 The Grand Residence Club Lake Tahoe is affiliated with Marriott Vacation Club. Buyers will find that Marriott is one of the most resale-friendly brands in the world, with little to no restrictions against those who buy on the secondary market. You can start making reservations immediately with your deeded week, or you may choose to upgrade your timeshare into the Marriott Vacation Club Destinations program. This will enable you to make reservations using an easy-to-understand points system and exchange internally at other Marriott resorts. The official timeshare exchange affiliate of Marriott's Grand Residence Club Lake Tahoe is Interval International, one of the world's most popular exchange brands. With a separate membership, you can deposit your accommodations at the Marriott Lake Tahoe to trade with another timeshare owner at resorts all over the world. Additionally, the Grand Residence Club Lake Tahoe has earned an Elite Resort distinction from Interval International for its exceptional amenities and services. The Elite rating will likely give you much more trading power when you look to make an exchange. 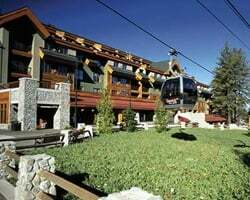 The Grand Residence Club is located within South Lake Tahoe's Heavenly Village, an area filled with shopping malls, ski trails, eateries, and more. You can catch a ride up to the slopes from the gondola just steps away from the resort's grounds, making the Grand Residence Club perfect for winter trips. In the summer months, the heated outdoor pool is perfect for water recreation, while the adjacent hiking and biking trails provide the perfect opportunity to explore the beauty of the Lake Tahoe area. Those seeking to unwind will undoubtedly enjoy the Serenity Spa, while golf fanatics will find the links at the nearby Edgewood Tahoe Golf Course under a mile away. The rest of Heavenly Village is rife with shops and restaurants, like FiRE & iCE, which is located on the resort's grounds. Already Own at Marriott’s Grand Residence Club Lake Tahoe?